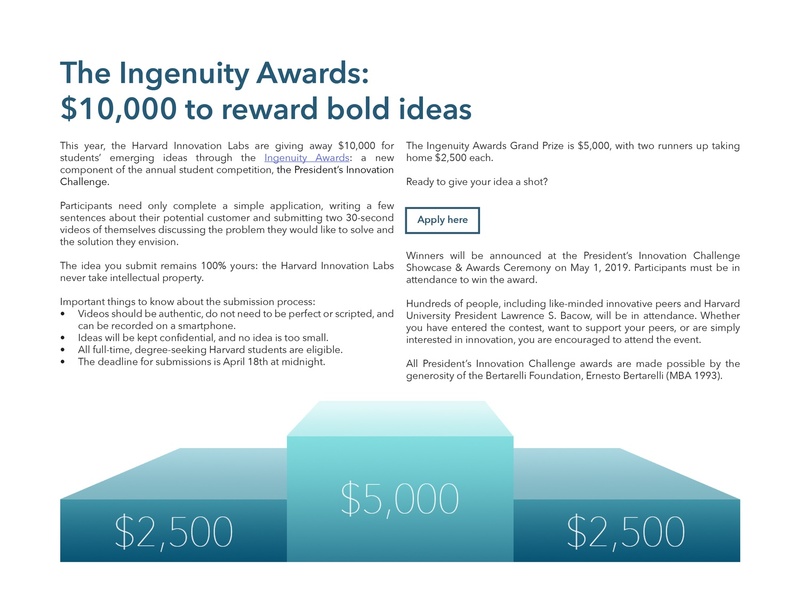 Apply to the Ingenuity Awards, a new component of the annual student competition, the President's Innovation Challenge! 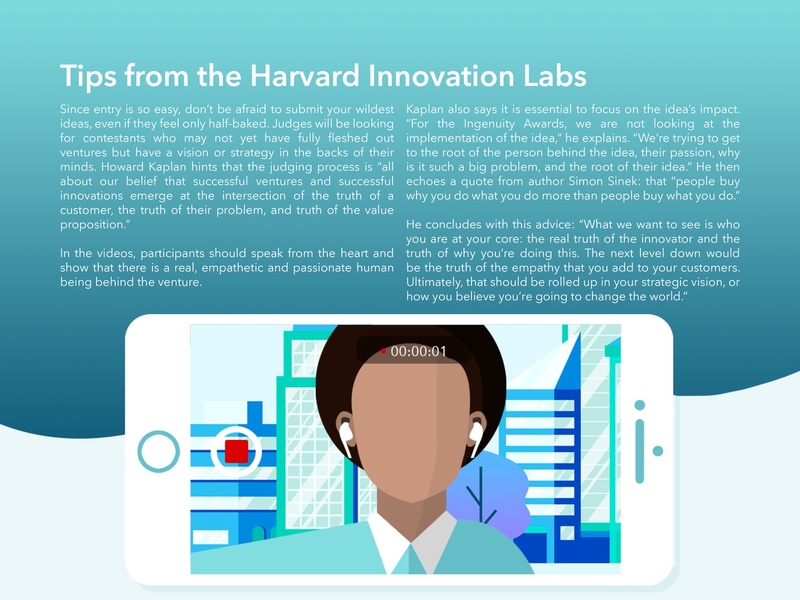 Ready to give your idea a shot? 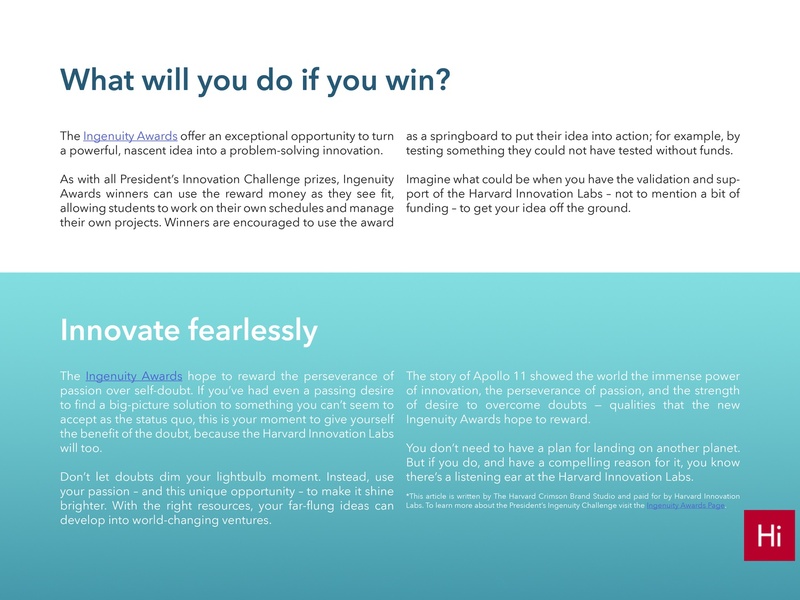 Apply to the Ingenuity Awards, a new component of the annual student competition, the President's Innovation Challenge! 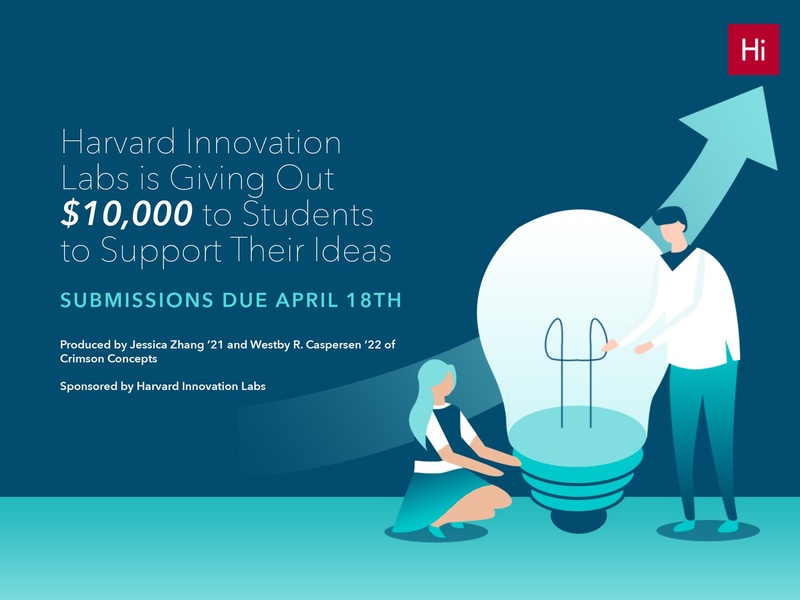 Whether you have entered the contest, want to support your peers, or are simply interested in innovation, you can register for the event here. 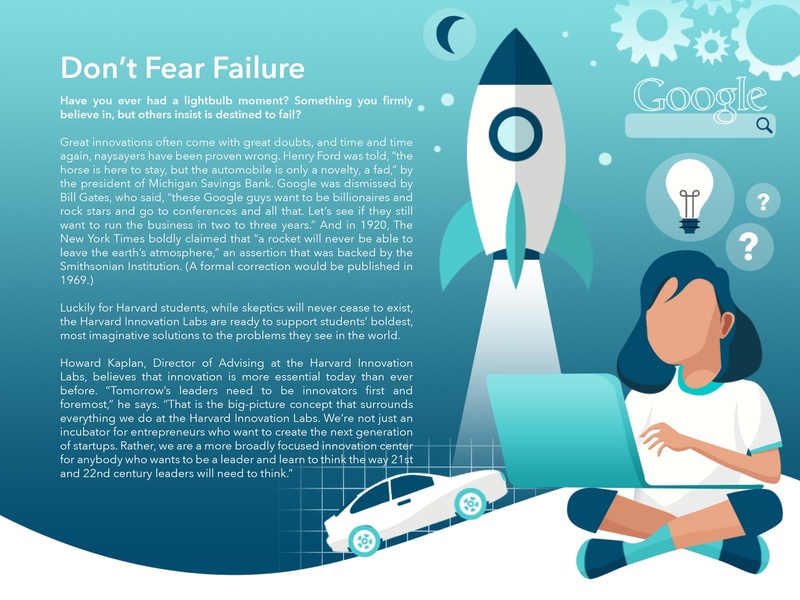 Apply to the Ingenuity Awards today!